If you’re Googling the phrase “Solar Installers Phoenix” chances are you must be looking for the best solar panel installation companies in the Phoenix Metropolitan Area of Arizona. If that is the case, Alternative Energy, LLC is the solar installer for you. Give Alternative Energy, LLC’s Solar Installers In Phoenix a call today at (480) 744-1803 to receive a Free Solar Installation Quote in Phoenix, Arizona. We offer the best residential and commercial solar panel installation throughout the Phoenix, Arizona valley. Not only that but, we also offer a ton of other energy products that can help homeowners and business owners save anywhere from 25%-99% on electricity. No other solar installer in Phoenix can save you this much money because they only install solar. We help you save up to 50% on electricity before even thinking about installing solar panels. That way you can install a smaller solar system for an even cheaper cost. This way you are not only compensating for your energy usage by installing solar panels but you are also reducing the amount of energy you are using before the compensation even takes place. That way you save twice as much money and pay less than the amount you would have paid for a large solar system. 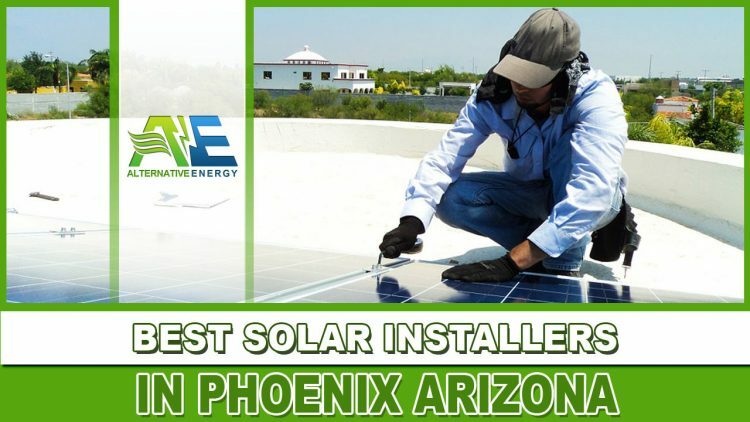 If you would like to receive a free quote from the best solar installers Phoenix has to offer, give Alternative Energy, LLC a call today at (480) 744-1803.